Everyone wants to look their best on their big day. And having your skin in tip top condition can really help towards feeling your ultimate you. Which is why THEVOW.ie has teamed up with the experts at Galway Laser & Skincare Clinic to offer one lucky reader the chance to win a luxury Dr. Murad facial. With a variety of facials to choose from, the skincare specialists are happy to advise on what is the best one for your own skin type. Dr Murad clinically proven facials are tailor made to suit your individual needs combining the most advanced, pharmaceutical-grade ingredients with the latest skincare technology for instantly youthful, radiant, flawless skin. Revitalize your skin, relax your mind and discover a dramatic improvement in your appearance whilst restoring skin to its healthiest. Galway Laser & Skincare Clinic can treat rosacea, acne, acne scarring, stretch marks, pigmentation, red veins, lines and wrinkles, loose skin, cellulite and unwanted hair. They also offer expert follow-up advice as to which treatments and products will best suit your skincare needs. 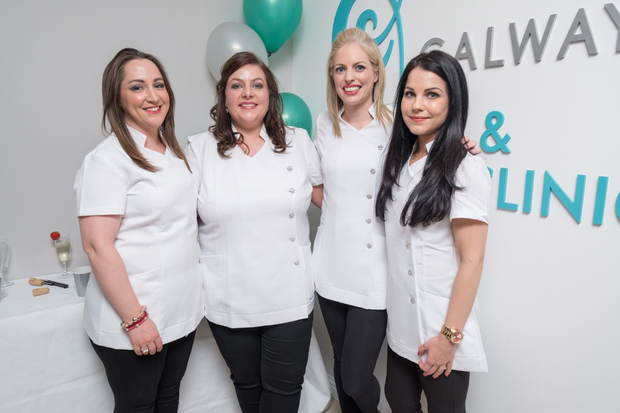 Based on the Tuam Road just 5 minutes from Galway City, the Clinic is Irish owned and all clinic staff are highly experienced and have been specially trained in laser practices and advanced skincare. To enter, simply head over to our Facebook page where you can find all the details! Competition closes at noon on Tuesday September 19th. Only one winner will be chosen at random. No cash prize alternative.